You don’t have to pay for a traditional security system to feel like your home is safe. While we definitely recommend full systems, we recognize that they aren’t right for everyone. Many families are turning to IP cameras to help secure their homes and feel like they’re at home when they’re away. IP cameras can let you check in on your loved ones, be alerted in case of a burglary, and even read your kids a bedtime story. We’ve compared some of the best IP cameras and ranked them below. An internet protocol (IP) camera is a security camera that sends and receives data through the internet via a web browser or app. This means you will be able to monitor the camera via your computer, smartphone, or tablet. One of the many advantages of IP cameras is two-way talk, a feature that lets you communicate with someone who is in the video. Unlike CCTV (closed circuit television) systems, IP cameras don’t require you to be in the same location as the security system to access its footage. With IP cameras, you can view your video feed from anywhere with an internet connection. There are also some disadvantages to an IP camera. Because the camera relies on internet, it uses bandwidth, so you’ll need to make sure you have a strong Wi-Fi connection. IP cameras also are typically more expensive than those included in a CCTV system. However, the overall convenience of an IP camera system can’t be beat. The table below can help you skim to see each camera’s features. Each of these cameras has two-way talk, features night vision up to about 20 to 30 feet, and records in 1920 x 1080p. YI Home Camera 2 is one of the best IP cameras on the market. It lets you customize your notification settings, and it’s reasonably priced for how many high-tech features it has. One aspect that makes the YI stand out from the competition is gesture recognition. This feature lets the camera recognize when you raise an arm and begin recording when it detects motion. This is handy (no pun intended) if you want your kids to let you know they make it home safely. They can simply wave at the camera and it will record a ten-second clip. The YI Home Camera 2 also has intelligent detection, which can detect your pets and notify you when they walk past the camera. The camera can even distinguish when a figure is human-shaped. When it thinks it detects a human, it sends you an alert and takes five HD photos (two prior to the alert and three after) in addition to video. The YI’s recordings are limited to six seconds and are stored for seven days unless you add an SD card or purchase cloud storage. If you use a 32 GB SD card, you can get up to 40 hours of nonstop recording at 25fps or three days of recording for 20fps. Cloud storage starts at $9.99 per month for 15 days of storage, or you can upgrade to 30 days of video history for $19.99 per month. The Nest Cam is similar to the YI Home Camera 2, with the addition of Nest Aware, a subscription service that gets you longer video storage and other features. Nest just missed the #1 spot because it lacks customizable notification settings, which we feel is an important feature. Nest notifies you only every 30 minutes, and you can’t adjust that. Nest claims this is so you don’t get inundated with notifications every time the same family member moves in front of the camera. The reasoning makes sense on the surface—but what if someone breaks into your home five minutes after you walk past the camera and leave the house? We’d like it if Nest let you customize how often you receive notifications. Despite that one drawback, we’ve found an overwhelming number of positive reviews stating that the Nest is easy to set up and use. We especially love the Nest’s design, which allows it to be placed on a tabletop or mounted on the wall, something that not all cameras allow—including the YI 2. This versatility makes the Nest Cam not only a great security camera, but also a good option to keep tabs on your furry pals or to be used as a baby cam. The Nest costs more than competitors, but its solid metal frame, clear picture, and two-way talk make it worth the price. If you want more than the three hours of cloud storage you get for free with the Nest, be prepared for additional costs in the form of its video cloud recording service, Nest Aware. You can get by without Nest Aware, but to get the most out of the Nest, we recommend purchasing one of the video history packages. You can choose the 10-day storage package ($100 per year) or the 30-day video storage package ($300 per year)—a bit pricier than YI Cloud’s pricing. This is an added cost that we’re not thrilled about, but we do feel that it’s worth it for access to your footage and for the quality of the camera and app. In addition to extra cloud storage, Nest Aware also has an activity zone feature, which lets you set zones you want to monitor. 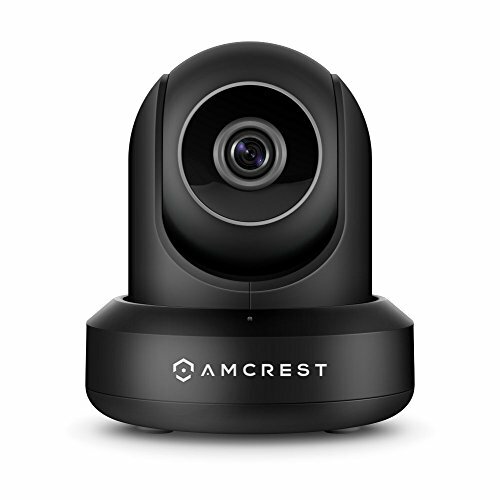 The Amcrest ProHD camera is our #3 pick because of its many rave reviews from thousands of customers. The 90-degree field of view is a drawback because it doesn’t capture as much in a single frame, so it might miss something important in the corner of a room. The 360-degree remote pan/tilt function makes up for some of this, but the camera has to move much more to keep up with any motion. With the ProHD, you get four hours of cloud video storage, and if you want more than that, you can purchase an SD card separately. Similar to the YI and Nest, the Amcrest ProHD has motion detection alerts and activity zones. The Amcrest gives you multiple storage options, including up to a 64 GB SD card, an NVR (a digital storage box similar to what a CCTV system uses), or cloud storage. Amcrest offers a few different cloud storage plans. You can get seven days ($6 per month),14 days ($10 per month), or 30 days ($15 per month). What kept it from ranking higher are customer complaints of a comparatively difficult setup process. However, once the camera is set up, users tend to love it. The Foscam R2 camera is bulkier than our top two picks but has remote pan and tilt functionality, allowing for a lot more movement. 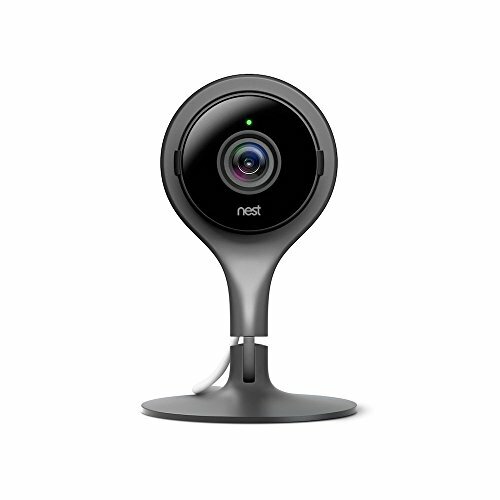 Similar to the Nest, the Foscam has motion-triggered recording. 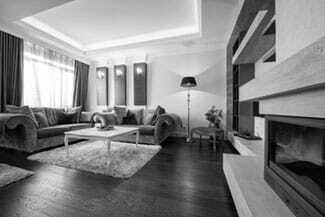 It can also be mounted, which gives you more installation options. It has many storage options, including an SD card, NVR, and cloud. The Foscam can hold up to a 128 GB SD card, which is double the size YI and Amcrest can hold. You get up to 30 hours of cloud storage for free, and if you want more cloud storage, pricing starts at $8 per month for 24 hours of video history and goes as high as $50 per month for one month of video history. These cloud storage prices are much more expensive than YI, Nest, or Amcrest cloud pricing. Overall, the Foscam R2 is a dependable camera, but it didn’t rank higher because of its high cloud storage prices, and because it has no unique features that make it stand out. 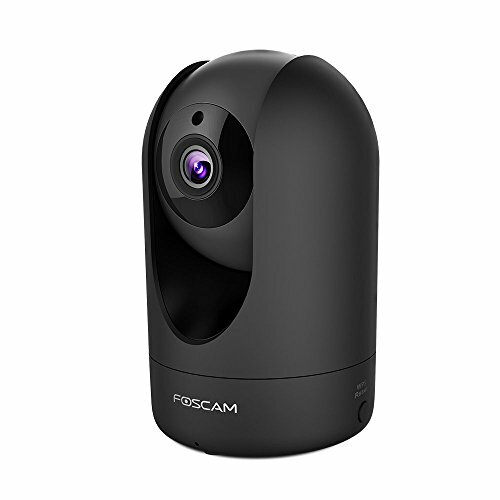 However, if you’re looking for a basic camera and don’t need the extra cloud storage, the Foscam is a good pick. This may seem obvious, but make sure an IP camera is really what you want. If you don’t see yourself checking the app when you get notifications or don’t check your phone often, this may not be the security solution for you. Consider a more hands-off route. After you’ve decided that an IP security camera is the path for you, the first thing to do is determine how many cameras you will need and where you plan on placing them. Are they purely for security reasons? Or are they going to be used as pet cams or baby monitors? 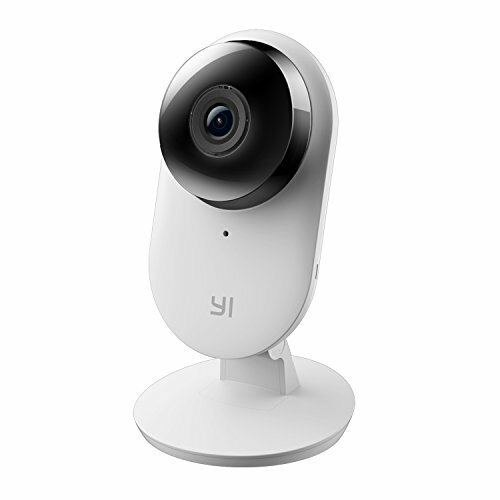 If you intend on using it as a baby monitor, the YI Home Camera 2 would be a good choice with its crying-detection feature. If you have other smart devices you want to connect your camera to, then the Nest Cam may pique your interest. Another thing to consider is whether the camera can be mounted and whether it has pan and tilt functionalities. This may not seem important, but consider this: if you purchase a camera like the YI Home Camera 2 and want to mount it, you’ll have to come up with something on your own because it doesn’t have a mounting bracket. If you do find a way to mount the camera, you’ll want to make sure it’s in the exact position you want it in because the camera does not pan or tilt, which limits its location options. The final detail to consider is aesthetics. We know this may be minor to some of you, but we want to mention it in case it’s a deal breaker for others. Keep in mind the camera’s size, color, and ability to blend in with its surroundings. While not all IP cameras are created equal, there are tons of great options out there. We recommend the four above for their diverse features and range of storage options. If you have questions on any of them, please don’t hesitate to ask. We want you to find the camera that is suitable for your needs, and if there’s one you discovered that’s not in our article, feel free to mention it to us in the comment section below. Why are you considering an IP camera over another type?